Individuals with stroke often sustain bone loss on the hemiparetic side and are prone to fragility fractures. 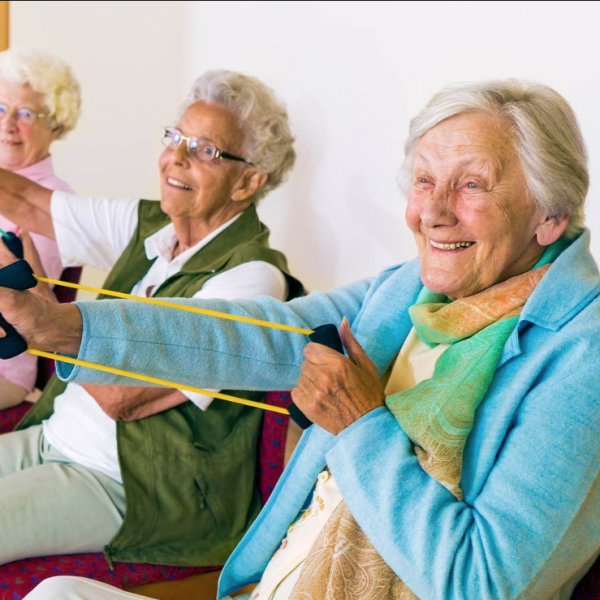 Exercise training may be a viable way to promote bone mineral density (BMD) and geometry in this population. This was a pilot study to evaluate the effects of a 6-month treadmill exercise program on hip BMD and tibial bone geometry in chronic stroke survivors. Twenty-one individuals with chronic stroke, with a mean age of 64.5 years and mean poststroke duration of 8.3 years participated in the study. The treatment group underwent a treadmill gait exercise program (two 1-hour sessions per week for 6 months), whereas the control group participated in their usual self-selected activities in the community. The primary outcomes were hip BMD and bone geometry of the midshaft tibia on the paretic side, whereas the secondary outcomes were gait velocity, endurance, leg muscle strength, balance self-efficacy, and physical activity level. Mann-Whitney U tests were used to compare the change in all outcome variables between the 2 groups after treatment. Significant between-group differences in change scores of tibial cortical thickness (P = .016), endurance ( P = .029), leg muscle strength on the paretic side (P < .001) and nonparetic side (P < .001), balance self-efficacy (P = .016), and physical activity level (P = .023) were found. The treadmill exercise program induced a modest improvement in tibial bone geometry in individuals with chronic stroke. Further studies are required to explore the optimal training protocol for promoting favourable changes in bone parameters following stroke.